In this featured video by our partners SmileTube, They explain the proper and importance of brushing your teeth thoroughly, this video has english subtitles. A. Where are the Subtitles? Q. The subtitles should be turned on if not visible by default. To turn them on, click on the lower left icon on the youtube video with the letter cc. 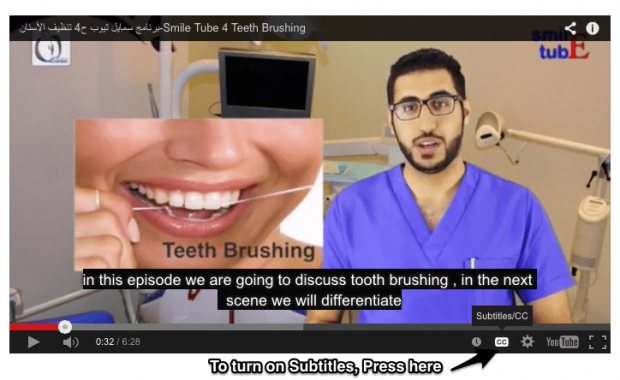 Smile Tube the first Arabic dedicated YouTube channel to address dental related issues and proper oral health in an amusing and informative methods, hosted by both Dr. Mazin Zeina and Dr. Marwan Al-Tally.